Global Event is a Marrakech DMC. The destination during 2011 has seen smaller group size incentives and very short lead times. But, our long standing member steps into 2012 with style! The success behind promoting the ‘red city’ has been listening to the client’s needs through offering luxury hotels with conference facilities coupled with a variety of creative tours and exciting activities. 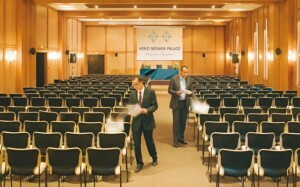 A memorable and measurable event is of huge importance. Global Event is providing ‘meeting events with a twist’ demonstrating creativity, high service quality and excellent value for money. A perfect example is the Kenzi Menara Palace. This sumptuous hotel with its Arabo Moorish architecture really does welcome you into a truly magical world. The hotel offers 236 rooms and suites inlcuding 83 Premium rooms, 6 disabled rooms, 2 rooms for guides, 46 Premium Suites and a Royal Suite. 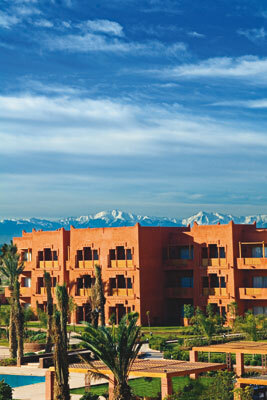 It is the ideal place to experience all the charm of Marrakech. Close to the vibrant Jamaâ El Fna square and the town center, it’s a haven of peace and tranquility from which to explore all the delights of the red city. 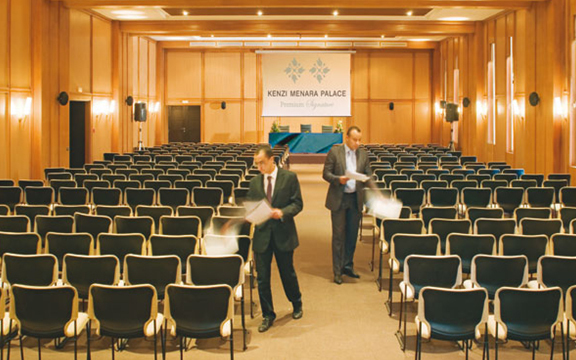 The property also offers different sizes of meeting rooms inlcuding up to 320 persons theartre style. Global Event Destination Management services offers many different activities to visit Marrakech. A sample includes a deluxe Moroccan dinner at the Dar Marjana restaurant, overnight stay, followed by quad & dromaderies with stop in Berber house for tea & pancake, lunch in the terrace overlooking the palmgroove & mountains, visit of the city, full day, excursion by jeeps to the Atlas Mountains & discovery of the wonderful Imlil village and much more! Would you like to receive more information about new events? Contacts us and we will be happy to put you in touch with our Morocco DMC.